Our ministry partner, City Impact, sets up a Christmas store for income-qualified families to spend their own money on gifts for their kids. Parents buy new gifts at 70% off retail prices. The store is stocked with new donated gifts. City Impact kids also have the opportunity to shop the Gifts of Love store, using points they earn in the program. Kids buy gifts for their parents, siblings and other family members. It helps make Christmas even more special for them! Ultimately, the goal of Gifts of Love is to provide Christmas with dignity to families who need a hand up, sharing the love of Jesus with our community. Check out the wishlists for gift ideas for teens. Purchase a teen gift either off the list or from any store you choose. 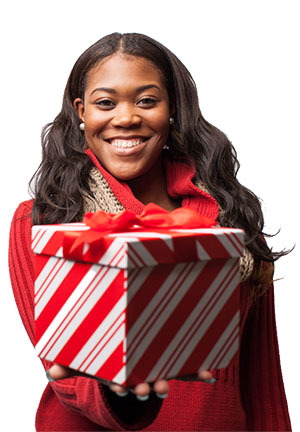 Gifts can be dropped off or shipped to our Ministry Resource Center by December 4. NOTE: Please call ahead to 888-627-1020 if stopping by! Enjoy being a part of changing someone’s Christmas in Jesus’ name!